In the early hours of Good Friday, March 24, 1989, an oil tanker struck a reef off the Gulf of Alaska, spilling 11 million gallons of crude oil and causing long-lasting damage to the ecosystem and the local communities that depend on it. The Exxon Valdez accident, the worst environmental disaster in the United States until that point, mobilized citizens and organizations from all over the world and coalesced in a movement to support and demand more information about the impacts of companies on the environment. It was the first time that interest in a company’s environmental impacts had gone beyond environmental groups, and the first time stakeholders entered the fray in earnest. From this push for transparency, pressure evolved into the Valdez Principles. This voluntary code of environmental conduct for companies was a rare example of a coalition between financial investors and environmental groups. The idea was that investors controlled the purse strings and could reward environmentally sound behavior and withdraw investments from companies that couldn’t show that they were addressing the issues. Economics, it was said, would be a powerful force for change. While their specific impact on the ecosystem and communities directly affected by the Exxon-Valdez oil spill may not have been as great as it was hoped, the Valdez Principles gave rise to the sustainability reporting world as we know it now. From those first voluntary efforts at accountability and transparency mostly focused on environmental impacts, sustainability reporting has evolved to encompass a wider range of topics. In 1999, the great majority of sustainability reports was separated from the main financial report, and mostly included environmental information. By 2002, 30 percent of reports began incorporating social information. And by 2017, with the rise of frameworks such as the GRI Sustainability Reporting Standards (GRI Standards), reporting on environmental impacts has become standard practice for large and mid-sized companies. In summary, the practice of sustainability reporting has gone from an undertaking that mostly large companies engaged in, to a mainstream activity that companies large and small can undertake to gain business insight and improve not only their environmental or social indicators, but potentially their business process as well. 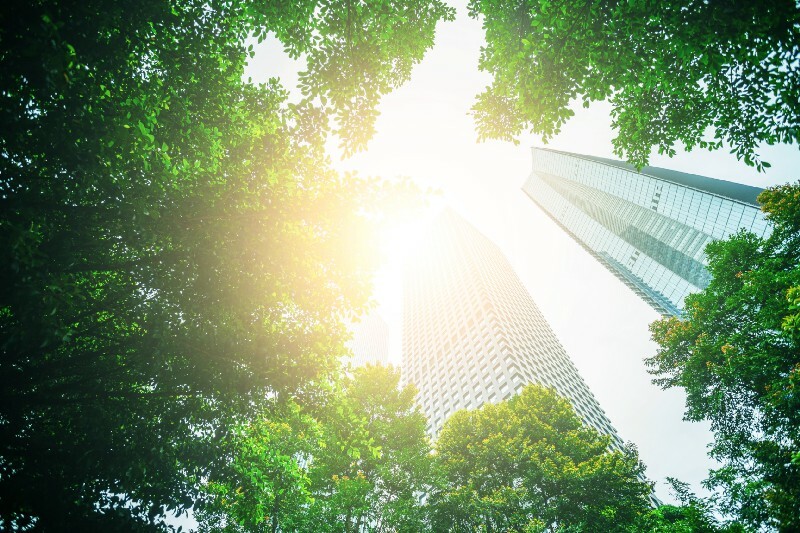 According to recent analysis by Boston Consulting Group, the valuation of top performers in environmental, social and governance (ESG) information can be as high as 19 percent higher, while margins can be up to 12 percent higher. And we know that consumers, employees and investors are increasingly looking at the non-financial performance to make decisions as to where to buy, work and invest. Nevertheless, many organizations and companies still consider sustainability reporting financial reporting’s softer sister. And in some cases it is seen as a public relations exercise, rather than a serious attempt at improvement. But more and more, companies and their investors are seeing that the great challenges of our time, including climate change and human rights, can represent financial risks to companies in the long term, whether because of public perception issues or supply chain disruptions. The bottom line is that companies are first and foremost responsible to their shareholders and other stakeholders. Arguably the last two decades were the golden age of voluntary reporting, and investors were preoccupied with immediate returns. But the tide is turning, and these stakeholders are understanding that the risks they face are long-term and many are related to ESG concerns. Nowadays investors are changing the way they view sustainable investment, to include environmental, social and governance factors. To best asses these risks, investors need to have information that is financially relevant and reliable. And in the last few years, investors have begun to demand that companies engage in sustainability reporting. In fact, the trend has moved from whether companies should report, to what companies should be reporting on. It is no longer enough that companies present anecdotal evidence of impact, or contained stories that showcase success. Companies are being asked to ensure that they disclose the information that truly matters to its stakeholders, and present it in a way that makes it comparable year on year. The tide is turning, and these stakeholders are understanding that the risks they face are long-term and many are related to ESG concerns. Nowadays investors are changing the way they view sustainable investment, to include environmental, social and governance factors. But establishing what is relevant information and making it comparable is not seen as an easy task. To help companies overcome this challenge, reporting standards encourage them to use materiality as a guiding principle to disclose information. In practice, this means that companies should report on the activities and topics that have the largest economic, environmental and social impacts, or those that can affect the decisions and perceptions of stakeholders, including shareholders. To make this information comparable, and useful to both stakeholders and the company itself, companies also need to understand, report on and evaluate how they approach materiality, and whether and how they engage with their stakeholders to receive feedback, change and improve. Stakeholders in general, and specifically investors have an interest in better performance as it brings higher returns in turn. One way in which they can promote that is through ensuring that the companies they invest in are transparent about the effects they have on the economy, society and the environment. Armed with this information, investors will find themselves in a much better position to assess a business realistically and help charter the course. More transparency can also bring to light areas where companies can improve processes, their business and their bottom line; this will lead to further improvements in performance. The virtuous circle in which transparency reinforces good performance will result in benefits to the investors, better off societies and less damage to the environment. In a nutshell, going from disclosing as a mechanical exercise to disclosing what matters, to society, the company and investors alike, is a win for all.